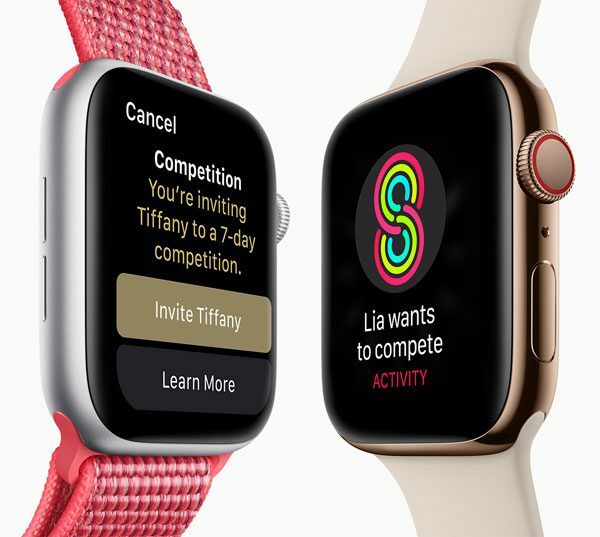 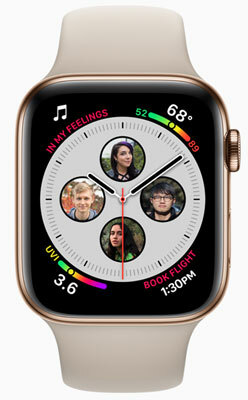 Apple Watch Series 4 (GPS + Cellular): With watchOS 5, users can challenge any Activity Sharing friend to a seven-day competition. Apple Watch Series 4 (GPS + Cellular): Taking an ECG is easy with a touch of the Digital Crown. 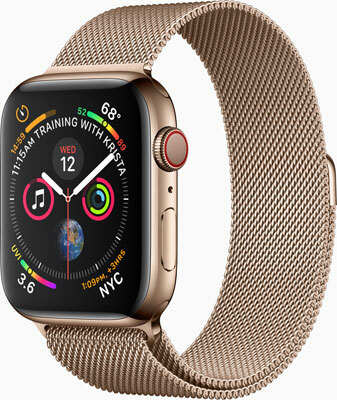 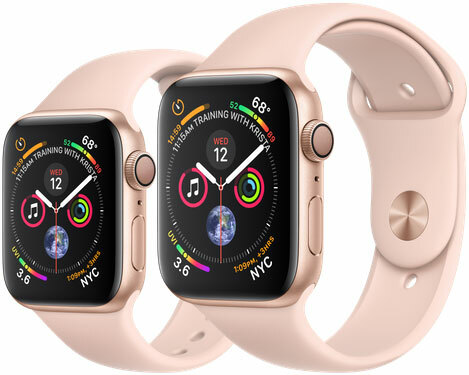 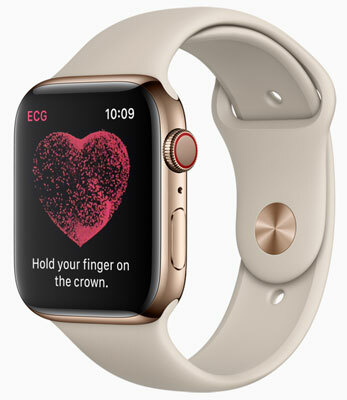 Apple Watch Series 4 (GPS + Cellular) in Gold Stainless Steel Case with Stone Sport Band: The app can detect a heart beating in a normal pattern, or if the user shows signs of AFib. 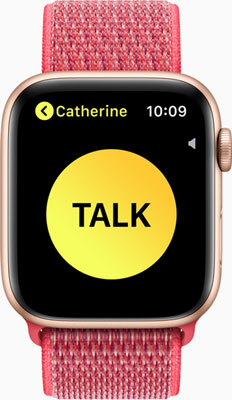 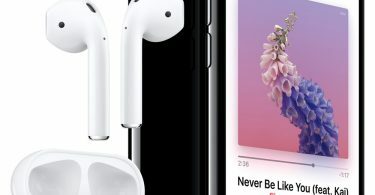 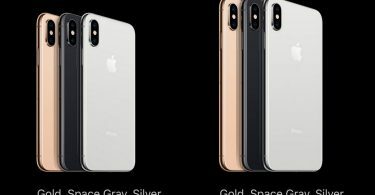 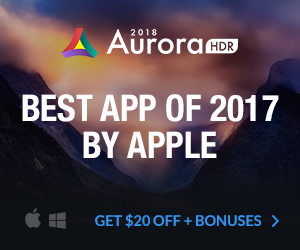 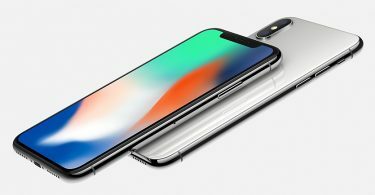 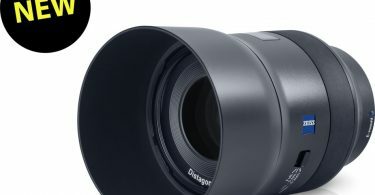 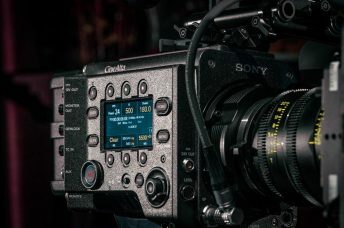 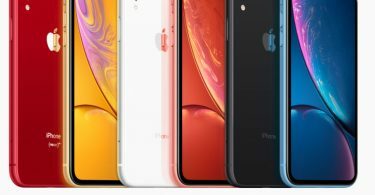 Apple Watch Series 4: The Walkie-Talkie feature offers quick voice communication with any Apple Watch user around the world. 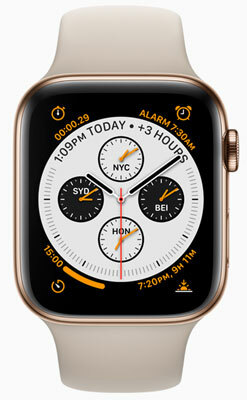 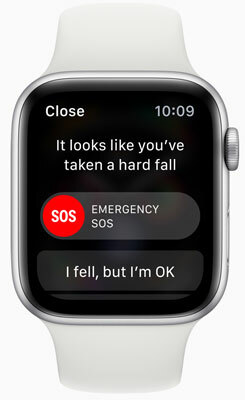 Apple Watch Series 4: Complications are enhanced to show even more information including contacts. 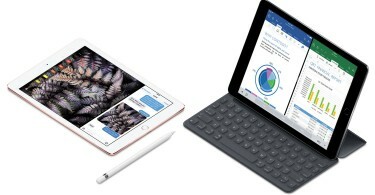 Apple Watch Series 4: The new ECG app and electrical heart rate sensor enable customers to take an electrocardiogram right from the wrist.